Nirmala Sitharaman said it is easy to hit at a woman when one talks about other things which don't become part of the conversation or are germane to the discussion. 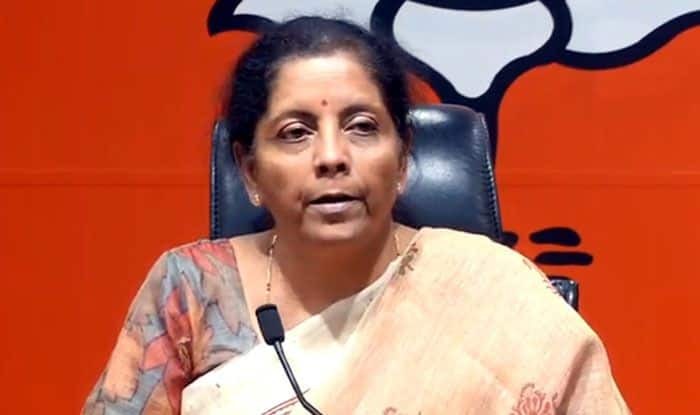 New Delhi: Defence Minister Nirmala Sitharaman on Wednesday spoke about the derogatory language being used against women politicians and said that ‘leaders should think before they speak’. Adding that it is easy to hit at a woman when one talks about other things which don’t become part of the conversation or are germane to the discussion, Sitharaman said that all these things (sexist language being used against women politicians) come easily without a thought. She said that though she’s of the view that while one can be firm in talking about ideologies but ultimately one has to respect each other and draw a line somewhere. “I think that should be consciously somewhere in the back of our minds when we’re discussing in politics – Is that what is going to be the legacy we leave for the next generation?” said the Defence Minister while speaking to ANI. Sitharaman’s comments come in the backdrop of the controversy around Samajwadi Party (SP) leader Azam Khan making sexist comments on Bharatiya Janata Party (BJP) leader Jaya Prada. Jaya Prada recently left SP to join the saffron party. Women politicians have been attacked with sexist and misogynistic comments time and again. A while back, a BJP leader targeted Bahujan Samaj Party (BSP) chief Mayawati saying she was a blot on womankind as she had sold her dignity for power. And this comment came from a woman politician. The Defence Minister herself has been in a similar situation. Not long ago, Congress president Rahul Gandhi had allegedly said: “….. the PM ran away and asked a ‘mahila ‘ to defend him”.